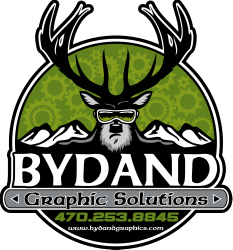 Welcome to Bydand Graphic Solutions! In 2018, the regional touring series known as the Southeast Super Trucks (SEST) decided to add two more racing divisions to accompany them during their season. One division would be a Limited Late Model division, sponsored by GRIPP Energy Drink while the other would be a touring series of Legends cars. I was tapped with designing two logos for these divisions which were to have a similar look of the SEST logo (pictured but NOT designed by me) for the sake of consistency. In addition to these two logos, I created a third one to be used with a Mini Cup division which would occasionally tag along with the tour but was not a full-fledged member. Peruvian soft drink Inca Kola became a primary sponsor of the new Legacy Fight Alliance MMA company which competes on AXS TV. To help promote the soft drink's sponsorship of the league, they enlisted the help of Optin Technologies and their mobile text marketing services to which I was commissioned to create these banners and flyers which would be on display at all LFA events. And for your chance to win cool prizes from Inca Kola, text "INCAWIN" to 63975. Logo set created for Greggofish Guide Services. Client wanted a new logo to market his fishing business to which we came up with this design featuring his Carolina Skiff fishing boat on Harris Lake outside of Raleigh. As an added idea, I added fishing hooks to the shape of North Carolina to give it the feel of an angling lure. The client liked the concept so much, we created a secondary logo which featured only the "lure" North Carolina. Commissioned to create a brand logo for Farm Market Express which featured a cartoonish cow flying through the air. In addition to the primary logo, a secondary logo and a vehicle wrap was designed.